NEW YORK -- A foul smelling plant known as the "corpse flower" bloomed at the New York Botanical Garden in New York City. 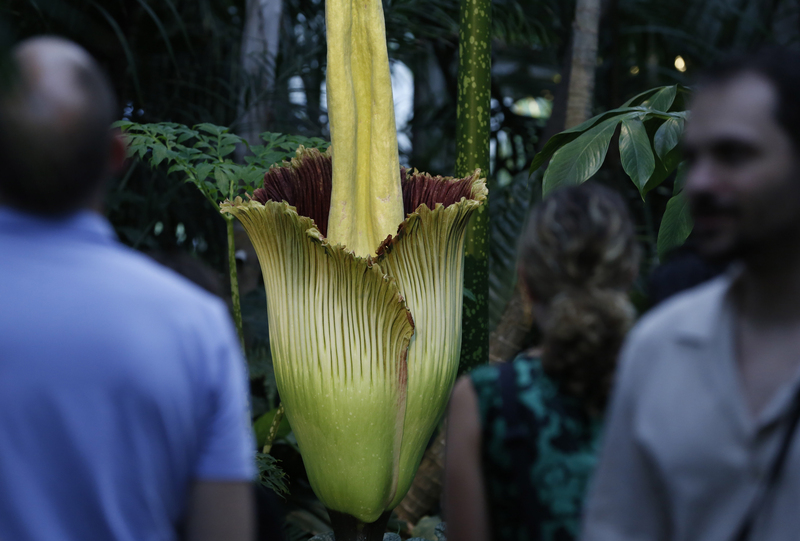 Visitors waited in line more than an hour to see the rare bloom. It started emerging Thursday afternoon after more than 10 years of growth. "It's beautiful. It's something people should see," visitor Susan Nehama told WCBS Radio. Nehama and her daughter, Sofia, said the sight of the flower was definitely worth the wait. "The few ways I've heard the smell is described is rotting meat and a dead body," one girl told CBS New York earlier this month. The bloom at its peak only lasts about 24 to 36 hours -- and it could be years before the flower blooms again. This is the first time since the 1930s the New York Botanical Garden has hosted this exotic species.